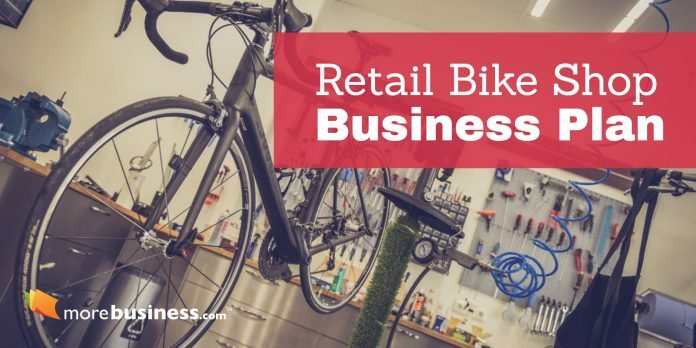 Use this retail bike shop business plan as your template to create the best bike shop in town that’s also a thriving, profitable business! This bike shop business plan includes market analysis, strategy, more. Ride On Bikes is a retail bike shop located in the university district of Pullman, Washington. The company, operating from a 3,000 square foot building in prime location, is solely owned by a long time bicycle enthusiast, Rick Austin. Austin has many years of experience in the retail bicycle industry, as well as a business degree from Washington State University, where the bike shop is located. Ride On Bikes is the exclusive dealer in a 50 mile radius for GT, Specialized, Kona and Diamondback brands. The shop sells all types of bikes, from beach cruisers to mountain bikes. In addition to bike sales, the shop offers services, accessories and parts, which are installed by certified mechanics. Biking hats and apparel are also available. The shop is conveniently located in the heart of campus, which houses approximately 20,000 full-time students. The primary market is the university population, which has a regular turnover of 25%. As the exclusive dealer for four big manufacturers, the company also markets to the surrounding population of over 100,000 people in the Quad Cities area, which includes three other colleges. In the area, there are three competing bike shops; however, none are able to offer the popular brands that are exclusive to Ride On Bikes. Ride On Bikes will rely heavily on its location to attract university students. Washington University has a strong outdoor lifestyle culture. The students and the shop will work together on student riding programs and events. The owner has also formed several key partnerships with suppliers and industry experts that will ensure the long term success of the company. Ride On Bikes is managed by Rick Austin, the company’s founder and sole owner. Rick has over 20 years of experience in the industry, as well as business education. Ride On Bikes also has two full-time certified mechanics on staff and a part-time sales force to assist with customer service. Projections for Ride On Bikes show the company generating nearly $500,000 in sales in Year 1 and becoming cash flow positive early in Year 2. The company will maintain low overhead and minimal liabilities. The business will be debt free within five years. Ride On Bikes is pursuing a $175,000 SBA loan which will be used for building renovations, inventory purchases, initial marketing and working capital. The owner has invested $25,000 in cash plus $20,000 in tools and supplies to begin the venture. Ride On Bikes is a full service bicycle repair and retail shop located in Pullman, Washington. It is the only authorized GT, Kona, Specialized and Diamondback dealer in a 50 mile radius. The shop, which serves the large university population, caters to many different segments including: cross-country, downhill, commuter and road enthusiasts. In addition to bike sales, the store has a full line of accessories, apparel and parts. The shop also has certified mechanics to provide repairs and installations for customers. Ride On Bikes is a limited liability company registered with the Washington Secretary of State under the name of “Rick’s Cycling, LLC”. The company is solely owned by Rick Austin, a lifelong bicycle mechanic. Ride On Bikes is a new company being launched by Rick Austin. Rick began riding and working on bikes at a young age, which began his love for the cycling community. As a teenager he worked for a bike shop after school and during the summer, where he eventually became a certified bike mechanic. Along with learning how to work on bikes, Rick made several key contacts with sales reps of various companies in the biking industry. After relocating to the Pullman area to attend college for a business degree, Rick realized the need for a bike shop in the area. Following the completion of a Bachelor’s Degree in Business Administration, Rick decided to open Ride On Bikes. Ride On Bikes is very conveniently located in the heart of the University District in Pullman, Washington, a prime location to supply the university students with their cycling needs. The 3,000 square foot shop has over 1,600 square feet of retail space and 800 square feet of service area. The remaining portion of the building is used for office space and inventory storage. A low lease rate of $1 per square foot has been negotiated for a five year lease. The company will maintain top-of-the-line inventory of bikes, parts and apparel. Other assets include tools, cash register, computer, retail displays and signage. Intangibles, such as experience, relationships and location will prove to be the most valuable components of Ride On Bikes. Ride On Bikes has two primary ways of generating revenue: retail sales and service. Retail sales consist of new bikes from the GT, Kona, Specialized and Diamondback brands. Bikes are available in many styles, including: mountain, downhill, commuter, beach cruiser, and road. In addition to bike sales, many accessories (locks, racks, water bottles, etc.) and clothing (jerseys, gloves, shoes, casual wear, etc.) are stocked on a continual basis. Finally consumers can find a wide range of parts to fix or upgrade their bikes. The service department has two full-time certified mechanics to help with any bike repairs and maintenance, including tune-ups, flat repairs, accessory installation and warranty repairs. By shopping at Ride On Bikes, customers receive many features not found at competing stores. All new bikes come with two free tune-ups to ensure the bike is functioning properly after purchase. Ride On Bikes is also the only bike store in the area to regularly stock all disciplines of bikes, as well as a full array of accessories and parts. Additionally, Ride On Bikes is very active in the bicycling community and offers weekly group rides and community-building activities. For competitive riders, the shop also offers discounts on products and services. Direct competition in Pullman is minimal. A Giant brand dealer is located across town. This is a smaller shop and is inconvenient for the university students. In the nearby city of Lewiston there are two other bike shops, which concentrate on mountain bikes. Ride On Bikes has exclusive distribution agreements and a preferred location for university students. These factors will allow Ride On Bikes to overcome its competition. In the surrounding areas, indirect competition consists of mass retailers, such as Wal-Mart, K-Mart and Shopko. All of these have significantly lower prices; however, the quality of their bikes is much lower than what Ride On Bikes offers. None of these large retailers have service capabilities. Ride On Bikes has several competitive advantages, including location, certified mechanics and exclusive distribution agreements with popular brands. Competing companies are not able to match these capabilities. In the long term, Ride On Bikes expects to open new locations in the Pacific Northwest. Locations will be selected where customer demand is high and exclusive distribution rights are available. Ride On Bikes’ primary target market consists of students and faculty of Washington State University. This segment is made of 18-26 year olds that are active and participate regularly in outdoor activities. As the campus is relatively confined, with few students driving, most all students walk or ride bikes to and from class. A secondary market consists of the rest of the population of the Quad Cities. This area is well known for its mountain bike trails, river paths, greenbelts and road cycling groups. The university has approximately 20,000 full time students attending at any one time. In addition to this campus, there are three other colleges within the Quad Cities that Ride On Bikes can cater to. There is an estimated 25% turnover among the student population yearly, as new students enroll. Ride On Bikes serves a regional population of 100,000 people. With only three other bike shops in this area, Ride On Bikes will be able to capture a large amount of the market share due to its unique location and exclusive distribution agreements. The bicycle market is always evolving. The latest trend is the growing demand for beach cruisers and mountain bikes, both of which have relatively high margins. In addition, with fuel prices increasing, more people have chosen bicycles for commuting to work and school. This has caused an increase in demand for bicycles and accessories, where markups are often 50% or greater. Service sales have also increased as more people are tuning up old bikes and regularly maintaining their new ones. Ride On Bikes does not intend to use its internet presence to drive retail sales, like so many other e-commerce sites. Rather, the company focuses on the immediate needs of its customers and the ability to fulfill those needs rapidly. A web site will include the store location and hours, promotions, local trails and links to related sites. Customers will also be able to research each bike and brand that Ride On Bikes sells, allowing customers to make better purchasing decisions. An aggressive marketing strategy will be employed that will leverage the location of Ride On Bikes and the university students who are most interested in biking. The company will work closely with the university to provide bike clinics, group rides and other community-building events. Back-to-school specials and spring specials will be offered to make it easier for students to afford a new bike. The company will also advertise in the student newspapers and promote events through the Activities Planning Board and area Chambers of Commerce. Sales in the bicycle industry are very cyclical, varying with seasons and weather. Particularly with Ride On Bikes, sales will be slower in the summer months due to the university, contrary to many other bike shops. For this reason, most sales efforts will take place during the school year, especially in the fall when school is beginning session and in the spring when students prefer to be outside. More than 85% of sales will be made in-person at our retail shop. The staff will be motivated by sales bonuses for each bicycle sold. Ride On Bikes has secured an ongoing contract with the university’s security department to provide all new bikes and service to its officers. The staff will pursue other bulk sales opportunities as well. Operations of Ride On Bikes will be led by Rick Austin. He will oversee daily transactions, as well as inventory levels, marketing, bulk sales and other miscellaneous duties. The remainder of the staff, which will be adequately trained in product knowledge and sales, will be responsible for ensuring customer satisfaction and achieving sales goals. The store will be open daily from 10am until 7pm, with a reduction in hours during non-school sessions. Ride On Bikes is managed by its owner, Rick Austin. Rick is a lifelong bicycle enthusiast with many years of experience riding and working on bikes. He spent much of his teenage years working in a bike shop in his hometown of Enumclaw, Washington, where he gained many contacts and inside knowledge of the bike industry. He attended Washington State University and received a Bachelor of Business Administration focusing on Entrepreneurship. Along with Rick, Ride On Bikes will employ two full-time certified mechanics. These mechanics will provide all repair and service work that comes through the shop. Three to five part-time sales people will be hired to assist customers and ring up purchases. The staff will adjust in size and hours to meet the seasonal demand. The part-time staff will likely be university students who are looking to supplement their income by working at a fun store. The company receives advice from various friends and business professionals. These include a CPA for financial and accounting matters, as well as an attorney for any legal requirements, such as liability waiver forms for events. In addition, Rick consults with some of his former business professors who taught him at Washington University. In order for Ride On Bikes to successfully open with the required inventory and staff, the company will need $200,000 in capital. Rick Austin has invested $25,000 of personal money into the company, plus many of the required tools and equipment. The remainder of the funding will come in the form of an SBA loan, originated from a local bank. The startup capital will be used to fund several expenses, including building renovation and fixtures. Rick will purchase an adequate amount of inventory, including bikes, accessories and apparel. A portion of the funds will be used for a grand opening marketing campaign, including building an ecommerce website. These startup costs will account for $115,000 of the initial capital. The remaining cash will be used for working capital for wages, rent, utilities and operational costs for the first year of business. First year sales are projected to be $500,000 with approximately 250 bikes sold, accounting for $125,000 in revenues. Service sales will account for $175,000 in income. Parts, accessories and apparel will generate the remaining revenues. Gross margin on bicycle sales will average 30%, while parts, accessories and apparel will be sold at a 50% margin. First year losses are expected to be $25,000. In Year 2, revenues will grow to $600,000 with profits of $55,000. Year 3 will see revenues of $750,000 and profits of $90,000. 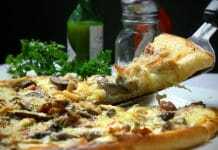 With fixed monthly expenses equaling $25,000, and a combined average margin of 62%, the business will break even at approximately $40,000 per month in revenues. This will be achieved on a monthly basis before the end of Year 1. Ride On Bikes strongest months will be August through December and March through May. These months will be cash flow positive and will carry the company through the slower months. Ride On Bikes will end Year 1 with approximately $60,000 in the bank. Ride On Bikes’ balance sheet will show total assets of approximately $220,000, including cash, inventory, equipment and leasehold improvements. Liabilities will be $175,000, plus any bank lines of credit. In the event that suppliers extend credit to the business, the balance sheet will reflect an increase in inventory and an equal adjustment to liabilities. 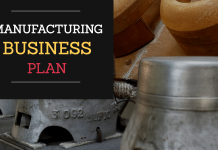 Download more sample business plan templates that you can edit live!